Allison Alexander is an agent with Interpol. A young woman in her mid 20s as the series begins, Alexander is a woman of moderate means working as an interpreter for the United Nations. Though hardly rich to her knowledge, she has been able to travel all around Europe, especially the Greek isles, during her teenage years with her mother, an historian and author. And when in the States, she has the ability to take up residence when she desires in a beautiful California coast estate once belonging to a gorgeous movie star who vanished mysteriously three decades before. Alexander's life is not all idyllic, though. She mourns the loss of her father many year before when he, much like the actress, disappeared overnight. And five years before the series's first adventure, Bart, the man she had always expected to marry suddenly said goodbye and himself vanished from her life. Now in a sudden and surprising turn of events detailed in the first book, both are back and she learns that both are working for the same covert division of Interpol known as Anatasia. This department with Greek name with the meaning of resurrection (literally "a rising up") is tasked with fighting terrorism in the world regardless of the source or the target. Whether it is Arab extremists or Thai warlords or South American drug kingpins bent on destroying governments to keep their trades alive, the men and women of Anastasia specialize in going deep undercover to burrow into the organizations to destroy them from inside. Alexander becomes connected with this group through her father, a long standing member, and Bart, the man she loved who disappeared a half decade before. When her father returns, it is a moment of great joy. It is a mixed emotion for her with Bart's return for the question of where he was those years burned deep. Finding he was a prisoner of a Chinese warlord, tortured for months and needing many months to recover helped reduce her anger. His determination to marry her and make up for lost time also helped. 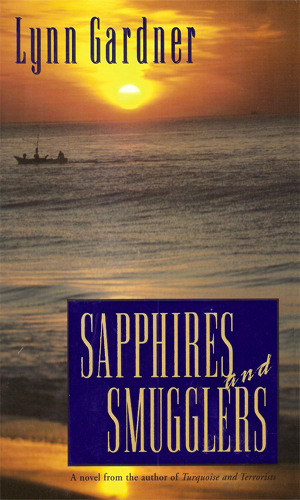 The series describes the many strange and exciting cases and affairs Alexander faces in her life with Bart. 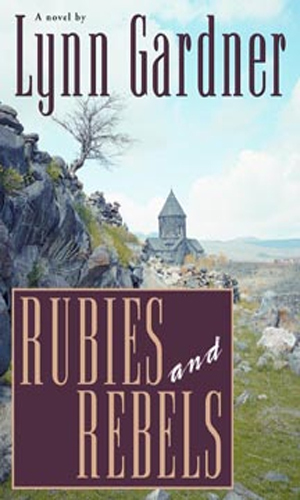 Infused throughout the stories, though never at the risk of detracting from the adventure, is the main character's devotion to the Mormon faith, matched by the author's. When someone breaks into the estate she was house-sitting, Alexander has to flee or be shot. 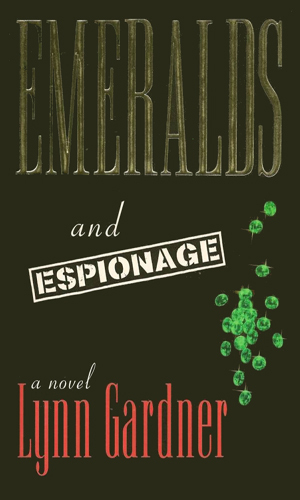 Looking into the case, she begins to realize that everyone she talks to seems to be involved in espionage in one or another. Recently married, Allison and Bart discover their hotel room has been torn apart and someone is following them. A man determined on revenge is stalking them and won't be satisfied until one or both are dead. 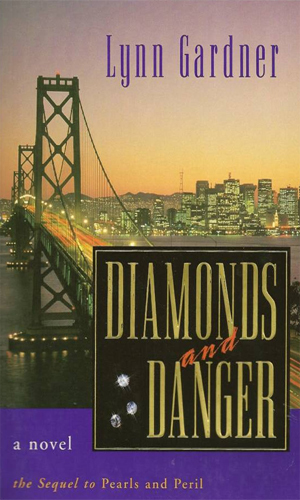 With their honeymoon over, Allison and Bart are in San Francisco as a series of fires and vandalisms take place and bodies with diamonds on them begin to be found in various odd places. Allison is told that the helicopter carrying her kidnapped husband crashed into the side of a mountain with no survivors. She and Bart had been in New Mexico to investigate terrorist activities and their work has made powerful enemites. Allison heads to Sri Lanka looking for clues into the disappearance of her husband, Bart. Unfortunately, an accidental fall from riding an elephant leaves unable to remember who she is and why she was there even as the Tamil Tigers get interested in her actions. With Bart away on assignment, Allison receives word from Anastasia that the organization is under attack and she should flee. She is suddenly on her own with only a few months of experience in the dangerous world of anti-terrorism. 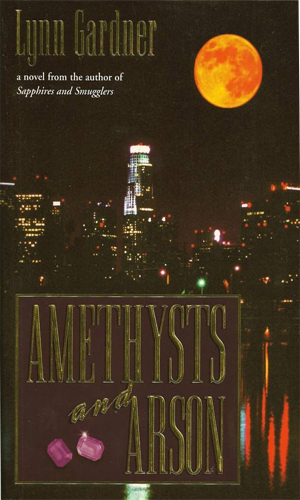 A crazed man is plotting the destruction of numerous historical sites resulting in the likely deaths of hundreds unless Allison and Bart, alerted by Bart's uncle, an arson investigator, can find and stop him. 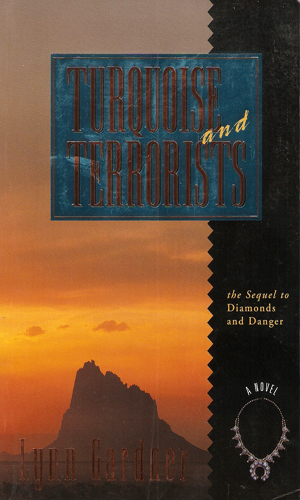 Almost forced to go with her mother to an symposium in Armenia, Allison learns that al Qaeda killers are on their way to that Asian nation especially to get their revenge on her and those she loves. 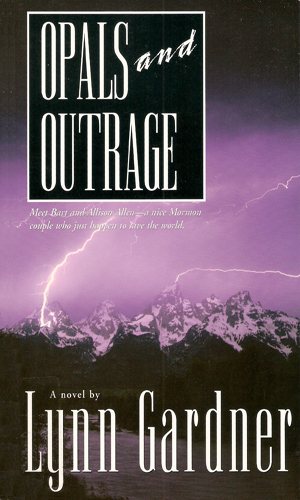 Stress from their hectic life fighting terrrorists make Allison and Bart seek some quality rest in Idaho only to find that Islamic radicals are there are well, planning an attack that could be devastating. A very pregnant Allison is on a trip to the Greek Isles with Bart when the vacation turns into another assignment. 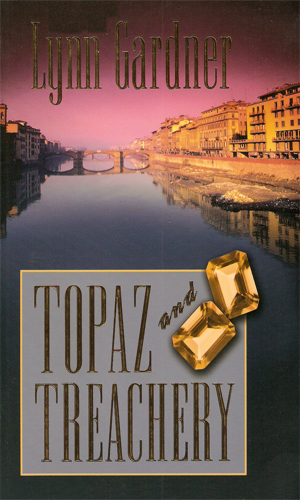 Knowing it is likely to be her last, she agrees to help retrieve several topaz stones stolen from a priceless necklace, stones which could reveal a Nazi treasure hoard. This is without any doubt a romantic series. It has the requisite elements of boy-meets-girl, boy-loses-girl, boy-get-girl-back. It is a chick-book. It is also fun. 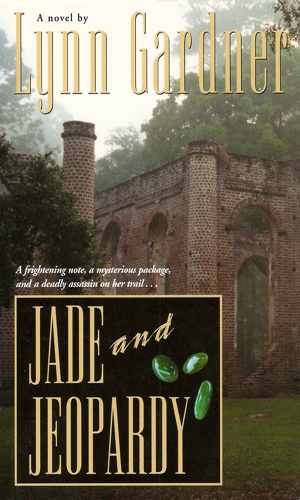 Alexander is not a femme fatale agent, able to hold her own against the baddest of enemies. She is also not a shrinking violet, crying out for help and threatening to faint. She is intelligent, resourceful, determined, and confident. She needs Bart's help on many occasions in the series but in just as many, he needs her help so it all evens out. 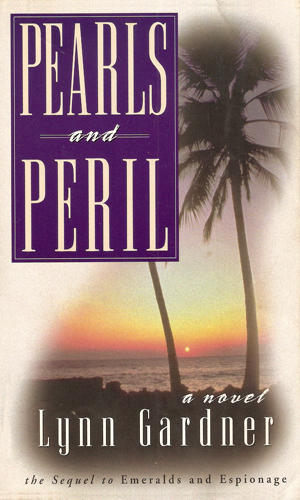 I freely admit to my bias against romance novels but when I "forced" myself to read the first book, I was forced by my grins and my curiousity to see what kind of trouble Alexander got into next. That is a compliment to the author. The periodic reference to the Mormon faith is interesting in that in a genre where hedonism is the norm and killing and maiming your enemies always present, it is a change of pace to have someone talking about turning the other cheek.